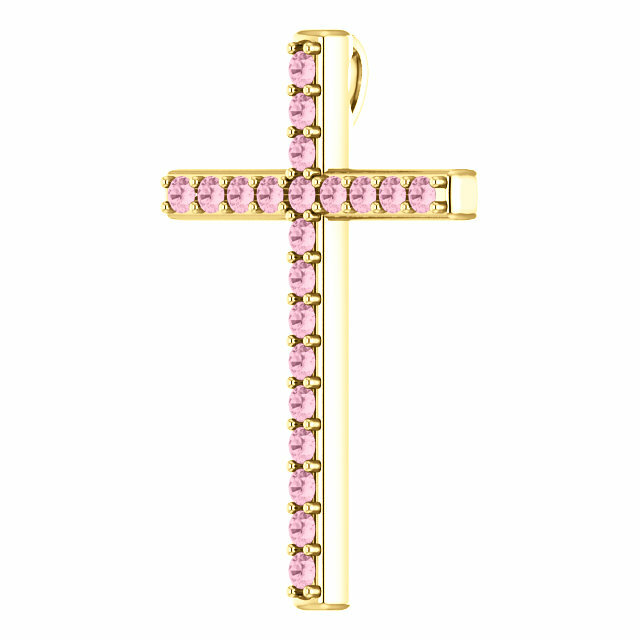 The soft, gentle, but sparkling hue of the baby pink topaz gold cross pendant inspires us to love God and our neighbors as ourselves, because God first loved us. "Herein is love, not that we loved God, but that he loved us, and sent his Son to be the propitiation for our sins" (1 John 4:7). The bible defines "love" as God sending Jesus Christ to die for us on the cross and to become our substitutionary atonement. Wear this beautiful, precious genuine gemstone cross as a daily reminder of God's great love for us! 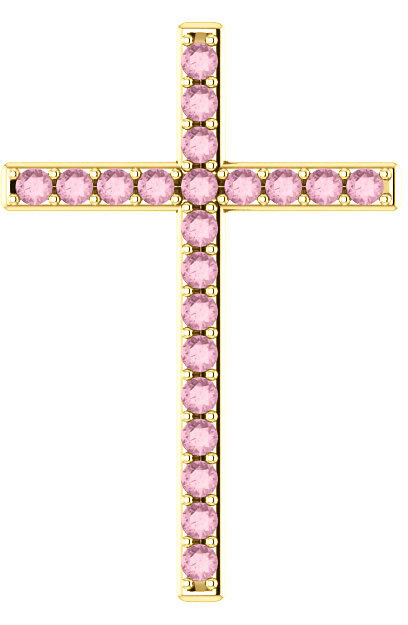 The cross can be made in your choice of 10k, 14k, or 18k yellow gold and is set with 21 "AA" rated high-quality 2mm Swarovski pink topaz gemstones. The measurements of the pendant are 1 1/4" x 0.85" and the cross has a hidden hoop/bale combination which is out of sight when worn. Add a matching gold cable chain necklace or wear this stunning gemstone cross with any chain of your choice. Also available in white gold or sterling silver, shown below. 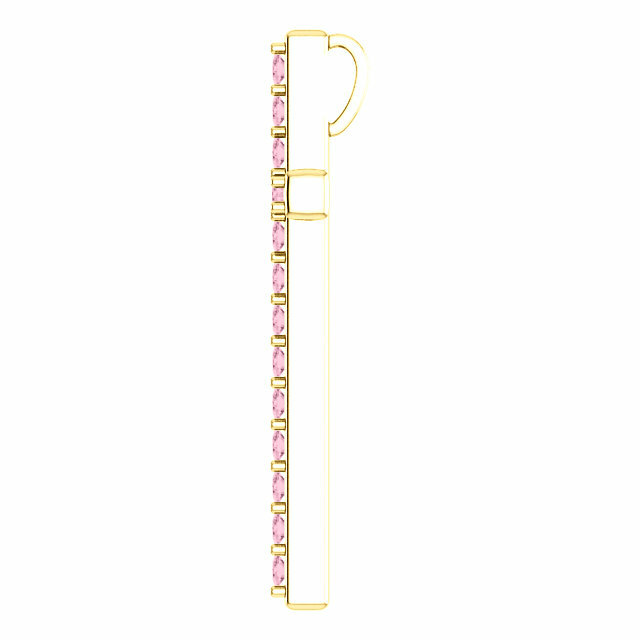 We guarantee our Herein is Love Baby Pink Topaz Gold Cross Pendant to be high quality, authentic jewelry, as described above.